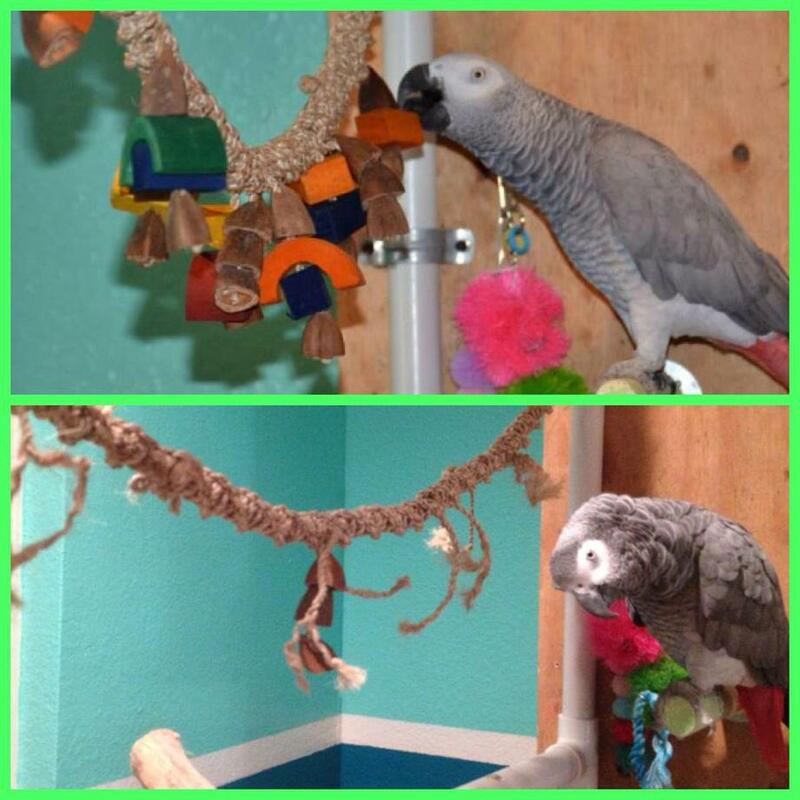 An enlightening line of natural foraging and enrichment toys. Hang vertically, horizontally or diagonally. Blocks of natural wood strung on chain with pear links on both ends for hanging. Great for those beaks that love to chew and those feet that love to swing! Hang vertically, horizontally or diagonally. Blocks of natural wood strung on chain with pear links on both ends for hanging. Great for those beaks that love to chew and those feet that love to swing! Recommended for medium birds, such as greys, goffins, rosebreasted cockatoos, eclectus, severe macaws and similarly sized beaks. Hang vertically, horizontally or diagonally. Blocks of natural wood strung on chain with pear links on both ends for hanging. Great for those beaks that love to chew and those feet that love to swing! Recommended for medium birds, such as greys, goffins, rosebreasted cockatoos, eclectus, severe macaws and similarly sized beaks to larger beaks with less aggressive chewing tendencies. Hang vertically, horizontally or diagonally. Blocks of brightly colored wood strung on chain with pear links on both ends for hanging. Great for those beaks that love to chew and those feet that love to swing! Hang vertically, horizontally or diagonally. Blocks of brightly colored wood strung on chain with pear links on both ends for hanging. Great for those beaks that love to chew and those feet that love to swing! Recommended for medium birds, such as greys, goffins, rosebreasted cockatoos, eclectus, severe macaws and similarly sized beaks. Hang vertically, horizontally or diagonally. Blocks of brightly colored wood strung on chain with pear links on both ends for hanging. Great for those beaks that love to chew and those feet that love to swing! Recommended for medium birds, such as greys, goffins, rosebreasted cockatoos, eclectus, severe macaws and similarly sized beaks to larger beaks with less aggressive chewing tendencies. The Swing Around Large simulates a natural tree vine with an added twist. The woven ball is just asking to be pounded by a happy beak. There 's a preener at the bottom as an added treat that can be chewed or preened. The Swing Around Small simulates a natural tree vine with an added twist. The woven ball is just asking to be pounded by a happy beak. There 's a preener at the bottom as an added treat that can be chewed or preened. The Aronico Helix opens a whole new world of play activities and foraging opportunities. They are perfect at keeping little birdie legs and feet strong and healthy, superb at rehab for injured feet. They can be tied together to make a wheel with spokes, hung vertically for a climbing rope with lots of great twists and turns to hold onto. 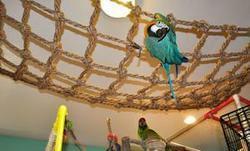 They can be tied inside cages to make perches that are actually good for birdie feet. Hang toys, insert treats and stems of greens into the holes and let your imagination run wild. Rope is 3/4" and length is approximately 36". The Aronico Helix opens a whole new world of play activities and foraging opportunities. They are perfect at keeping little birdie legs and feet strong and healthy, superb at rehab for injured feet. They can be tied together to make a wheel with spokes, hung vertically for a climbing rope with lots of great twists and turns to hold onto. 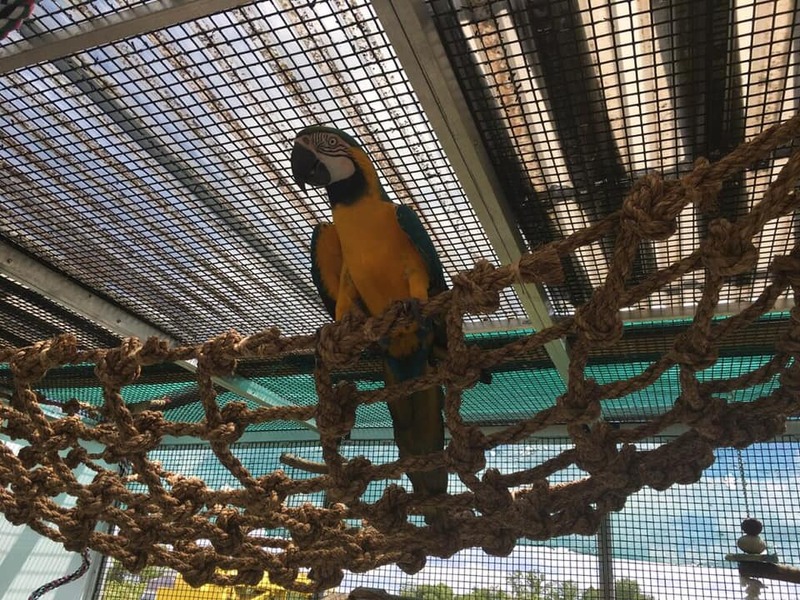 They can be tied inside cages to make perches that are actually good for birdie feet. Hang toys, insert treats and stems of greens into the holes and let your imagination run wild. Rope is 3/4" and length is approximately 24".